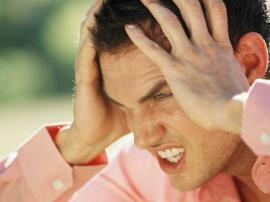 The main cause of the pain - muscle spasms that occur at a trauma, stress, prolonged static stress. Happen similar can not only adults but also teenagers. The main types of myalgia - fibromyalgia, myositis and polymyositis. The first of these is the most common ailment. With him are sore neck muscles, waist, shoulders, hips. Often to the pain is added the insomnia and muscle stiffness in the morning. Myositis - an inflammation of trauma or as a complication of other diseases. With fibromyalgia pain a pulling, tugging or cutting, while myositis - a nagging. In the cold and dampness, as well as change of weather and heavy loads possible exacerbation. Myositis is dangerous on the feet - can develop polymyositis, ie to hurt will be an increasing number of muscles, will fatigue, nausea, headache, pyrexia. Stiffness of joints lead to muscular dystrophy, up to disability. It is also worth mentioning a kind of epidemic myalgia - Bornholm disease caused by Coxsackie virus: there is high fever, chills, vomiting, bouts of acute pain. Basically sore upper body: chest, back, neck, arms. The main cause that provokes the emergence of pain in the muscles, is a over-voltage on the load - sudden or long. Also, it to myalgia can lead a various injuries, in which muscles get tensile or contusions. The inflammation of muscle tissue causes rheumatism. Today is gaining urgency the problem of sedentary lifestyles - with sedentary work are stretched the same muscle, leading to persistent cramps and other occupational diseases. Also provoke the myalgia a disturbances of the energy balance of the body from the cold, electrolyte disturbances, endocrine disease, infection and inflammation (including SARS). May cause myalgia, and stress, if it disrupted metabolism; Muscular dystrophy from long immobilization, as well as the action of toxins. Private risk - pathology of the spine when the same muscles are under a constant load. Although it is likely that with time, the pain in the muscles pass on their own, but leave myalgia without treatment is dangerous - may develop osteochondrosis, arthritis, disk herniation. Diagnosis is difficult by similar symptoms of myalgia and many other diseases - infectious, neurological, endocrine. To find out the causes of pain will help an electromyography, biopsy, measuring the level of enzyme immunological tests. Treat myalgia, primarily by eliminating the pain which patient experiences in the affected muscles and ligaments. For this purpose inject painkillers, apply creams and gels anesthetics, muscle relaxants. For distraction and warming up effect, use turpentine, eucalyptus oil, wet wraps. An effective method - the use of ibuprofen, diclofenac, and other non-steroidal inflammatory drugs, provided the rest of the affected muscles. After removing the pain and muscle tension, treat the underlying disease, complicated by myalgia.